Trinity Church (under repair) reflected in the Hancock building. Now that's a reflection! Very nice. Love old on new reflections, looks great. btw your photo on canvas looked fantastic, you must have been thrilled with it. Beautiful. 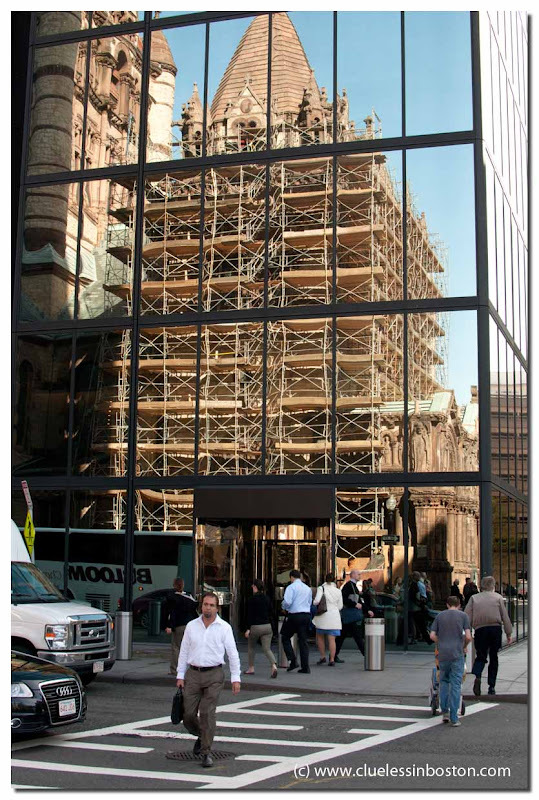 I didn't know that Trinity Church is in scaffolding these days. I guess it's necessary, but it always seems a shame when landmarks disappear behind scaffolding; sometimes it's months before they come out. I thought that scaffold looked wonky until I realised - reflection ah ha!